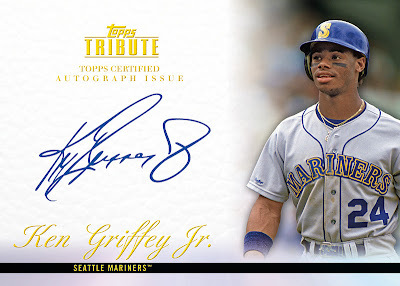 Just added to the line-up of autograph signers for 2012 Topps Baseball cards is future Hall of Famer Ken Griffey, Jr. 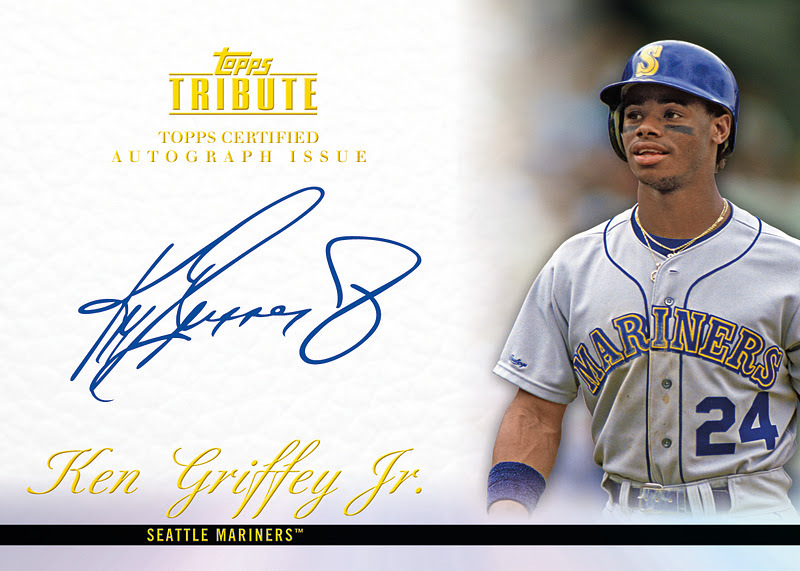 This will be the first time ever that “Junior” will autograph cards for Topps. 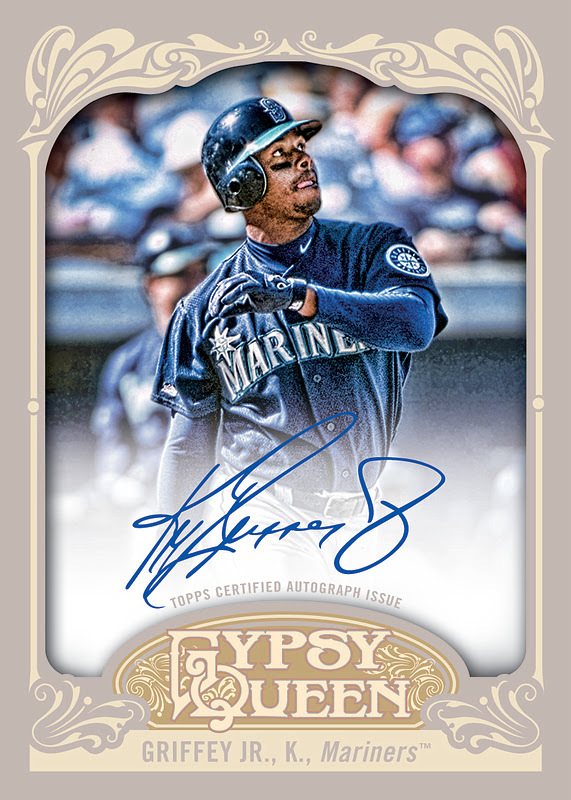 Griffey's first autograph will appear in 2012 Topps Tribute and 2012 Gypsy Queen.